Do snakes have a third eye? Richard Marshall Eakin, and published in his 1983 book The Third Eye. Many lizards have a parietal eye, also known as a third eye or pineal eye. This "eye" is a photosensory organ located on the top of the skull, in the center. It has a well-defined lens, cornea, and retina, and is lined on the inside with photosensitive cells that resemble the cones of the lateral eyes and contain the light-sensitive pigment vitamin A1. These cells are connected by the parietal nerve to the pineal organ in the brain, which produces melatonin2, the hormone that controls sleep patterns, circadian rhythms, and seasonal cycles such as mating, migration, and hibernation. The parietal eye can see light and is primarily used to sense changes in day length. Many lizards have a parietal eye, although it is most well-developed in tuataras, even serving as the inspiration for a New Zealand brewery. of Liolaemus bisignatus (Philippi's Tree Iguana). Recently, a Twitter conversation led me to evaluate the evidence for a parietal eye in snakes. As with many things, you would assume that if lizards have parietal eyes, then snakes have them too, since snakes are just one group of legless lizards. And, as with many things, you'd be wrong (probably; read on). It turns out that studies on the parietal eyes of snakes are almost non-existent. Maybe this isn't surprising, considering how little we know about other basics of snake physiology, like how well they can hear or whether or not they sleep. The evidence for the existence of a parietal eye in snakes is scant at best, and despite evidence for its absence, "amazingly few species have been studied", just seven as of 1979, and barely any others since then. Detailed studies have been made on the pineal organ of just one species, Natrix natrix, the European Grass Snake, in contrast to a large body of work on the pineal complex of lizards and tuataras. The tale of the evolution of the parietal eye is helpful in understand the assumptions made about snake parietal eyes, in the absence of much direct research on them. South African fossil therapsid Hipposaurus. Tuataras and many lizards have relatively well-developed parietal eyes. These organs face upwards between the parietal bones of the skull, and were it not for their covering of skin they would effectively connect the outside world with the brain (more or less as our "normal" [lateral] eyes do). There are no eyelids, or rather, like the lateral eyes of snakes, there is a fused, clear eyelid. In young lizards, the opening in the skull is large and T-shaped, like the familiar soft fontanelle of an infant human's skull, whereas in adult lizards the opening becomes ossified and may close completely late in life. 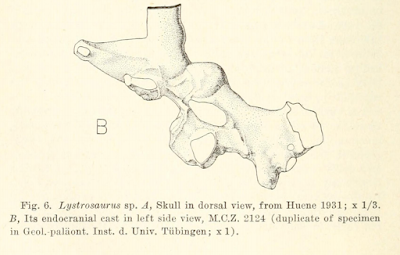 Some extinct reptiles had bony protuberances around the margins of their parietal eyes: one, Hipposaurus, had a "chimney-like structure". For a long time paleontologists debated whether holes in the parietal bones of fossil skulls were necessarily evidence of ancient parietal eyes. The German-American paleoneurologist and "fossil brain" expert Tilly Edinger3 snarkily wrote that "if one doubts that this association existed also in extinct vertebrates, one may as well doubt that the orbits of fossil skulls contained eyes", because other than lizards and tuatara, no other living animals possess such holes. Many extinct tuatara relatives had even larger and more well-developed parietal eyes than do living tuataras—in some extinct pliosaurs, the opening was as large as 50 mm (2") by 20 mm (almost 1"), whereas in living tuataras it rarely exceeds 3 mm and modern lizards 1 mm. 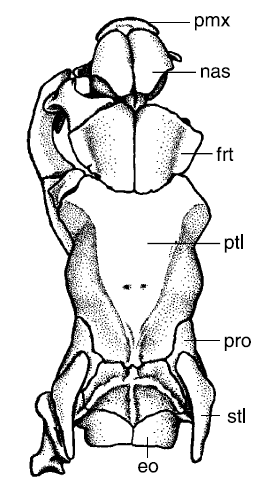 A more useful comparison may be the size of the parietal eye relative to that of the braincase: in living tuataras, this is about 1:7, whereas in living lizards it varies from 1:21 to 1:36 or less. The absence of any traces of musculature in fossil skulls or signs of more a complex past during embryonic development suggests that parietal eyes have never been any more elaborate in structure than they are in modern lizards and tuatara, although the larger parietal eyes of extinct reptiles were probably better at seeing than the tiny ones of living species. showing the large parietal eye (dark structure at the top). Iguanids, agamids, varanids, cordylids, lacertids, and shinisaurids are diurnal, surface-active lizards that have well-developed parietal eyes. Several families of lizards that are mostly nocturnal and/or spend a great deal of time underneath cover or beneath the ground also have parietal eyes, including scincids, anguids, anniellids, xantusiids, amphisbaenids, and xenosaurids. Chameleons have a degenerated parietal eye that lies above the foramen; presumably it is redundant with the lateral eyes of chameleons, which can move independently and cover 180° horizontally and 90° vertically. Some surface-active (teiids). burrowing (dibamids), and intermediate nocturnal (geckos) and diurnal (helodermatids and lanthanotids) lineages lack parietal eyes. Many of the lizard genera lacking a parietal eye have more equatorial geographic distributions. It has been suggested that a long evolutionary history in the tropics could lead to the loss of the parietal eye, because changes in day length are so minor close to the Equator. Even though there are seasons in the tropics (normally wet and dry), they are not associated with day length or light level cues that animals could use to know when the switch between the two is going to happen (and alter their lifestyles accordingly). There are no truly polar reptiles or amphibians, but some polar mammals (e.g., walruses, Weddell seals) have unusually large pineal organs, whereas some tropical mammals (e.g., sloths, pangolins) have lost their pineal organs, suggesting that the function of the pineal complex is more important where day length is more variable. It's thought that the parietal eye is retained in many burrowing lizards because these animals are occasionally exposed to light, and perhaps the parietal eye is a more suitable photoreceptor for a burrower than are lateral eyes, because it is already oriented upwards. If snakes evolved underground, as the leading hypothesis suggests, then it would make sense that they lost their parietal eye. Their normal eyes appear to have lost some muscles and modern surface-dwelling snakes have lost at least two of the five visual pigment (opsin) genes found in other vertebrates. Fossil and modern osteological evidence shows that a median parietal foramen like that of lizards was lost in an ancestor of all snakes (about 125 million years ago) and is not present in any living or fossil snakes. About 60 million years ago, small, laterally paired foramina evolved in early colubroids, and are present in many, but not all, living elapids, viperids and other colubroid groups. As in lizards, these may be present only in juveniles, becoming obliterated externally by bone growth later in life. 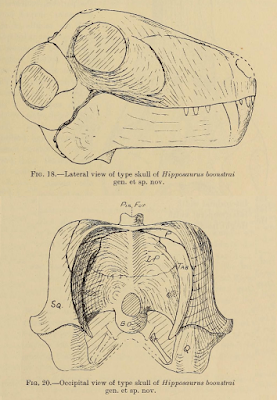 Snake osteology expert John Scanlon told me that "Nobody, as far as I'm aware, has investigated whether the paired foramina [of snakes] are homologous or functionally similar to the median foramen of basal lepidosaurs [lizards]." The loss of parietal eyes is also supported by developmental formation and then fusion with the pineal gland in embryonic snakes, birds, and mammals4. Developmental origins of the parietal ("median") eye and the lateral eye. of sperm cells to the egg). In the eye, they have evolved into photoreceptors. So, snakes join most mammals, birds, turtles, and most amphibians5 in having lost their parietal eyes but retaining a photosensitive pineal organ in the brain that is not directly exposed to the outside of the skull. 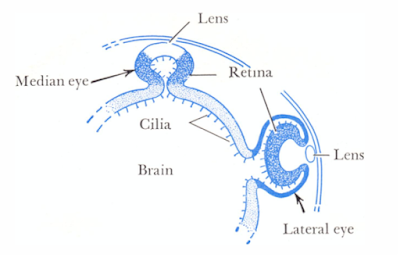 However, a recent review of the function of the pineal complex in reptiles states that the pineal gland of adult snakes does not contain photoreceptor-like cells. Instead, the principal cells are pineal parenchymal cells, which secrete melatonin but do not sense light. Nevertheless, experiments on gartersnakes have shown that removing the pineal organ of male gartersnakes in the fall, before hibernation, alters their melatonin cycle and reduces their courtship behavior when they emerge in the spring, so the pineal organ clearly functions to regulate melatonin and annual cycles in snakes. 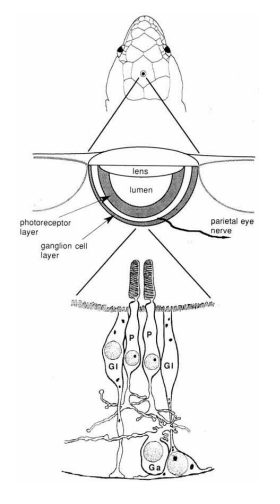 At first glance, it doesn't seem to make sense to have a deep brain photoreceptor that isn't connected to the outside world, because it doesn't seem possible for it to be able to sense light or darkness from inside of your skull. But, don't forget that the two lateral eyes allow light to enter the brain; it is this light that the pineal organ is sensing. Humans have pineal organs too, and clearly we have no third eye (except in Greek mythology and Grimm's fairytales). Think of how sleepy you feel when you have to get up before the sun, or how awake you feel when a bright light is turned on at night. This is because your pineal organ senses the ambient light or darkness and adjusts your melatonin levels, telling you (if it's bright) to wake up or (if it's dark) to stay asleep. Melatonin is also synthesized directly by the parietal eye of lizards. 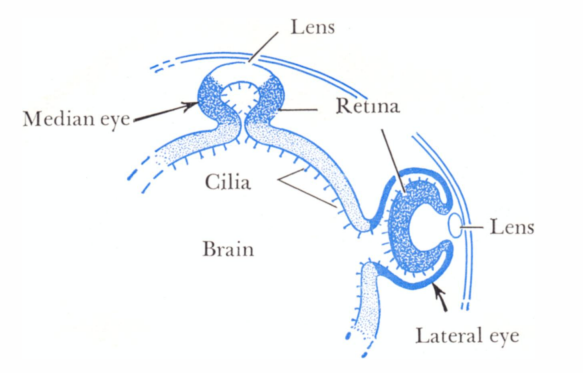 Although the pineal organ can only sense light and dark, there is evidence that the the parietal eye can also detect different colors of light, including ultraviolet but not infrared light, and that it may be especially sensitive to the order of appearance of light of different wavelengths, enabling lizards to detect dawn and dusk with great precision. Detailed anatomical studies have shown that the pineal organs of certain lizards possess either a finger-like projection that extends toward the parietal eye, or convolutions of the pineal wall, both of which result in exposing and orienting more photoreceptor cells towards the skull roof, where they can detect light. Although these are sometimes occluded by cartilage or blood sinuses, their existence suggests that the pineal organ of lizards is a more important photoreceptor than previously realized. Many hypotheses have been put forth to explain the exact function of the parietal eye, which in some ways is still unclear. Rejected hypotheses include that the parietal eye is used for detection or deterrence of aerial predators. Even in tuataras, the parietal eye is barely noticeable (it wasn't described until the 1870s), so predator deterrence is unlikely. It may play a minor role in predator detection, because the photoreceptive cells can respond to changes in light intensity as quickly as those of the lateral eyes, but sending sleepiness signals by initiating a melatonin cascade would be counterproductive to predator avoidance, to say the least. The most straightforward hypothesis is that it measures light intensity, functioning in regulating seasonal seasonal behavior, physiology, and thermoregulation. Although reptiles do have thermally sensitive neurons in their brains, we now know that the pineal complex does not directly sense heat. 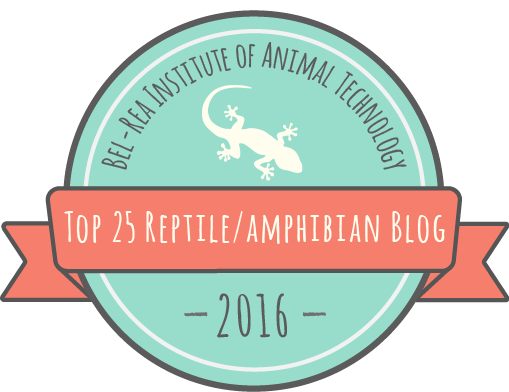 Instead, reptiles have specially-adapted transient receptor potential ion channels (TRPs), which are proteins found throughout the body that act as internal thermometers and external temperatures sensors. Blocking the genes that make these proteins causes crocodiles to abandon their typical regime of behavioral thermoregulation and leads to significantly altered body temperature patterns. Changes in melatonin levels also affect the body temperatures selected by some reptiles, but in opposite ways in lacertids and iguanids. There is also a great deal of evidence that the parietal eye is sensitive to polarized light: blocking the parietal eye disrupts sun-compass orientation and homing ability of displaced individuals in several lizard species. This makes sense because there is no evidence that lizards can see polarized light with their lateral eyes. One study of thirty species of South American Liolaemus lizards found that parietal eye size did not vary meaningfully with latitude, altitude, environmental temperature, thermal tolerance, or body size, and that there was no evidence of phylogenetic inertia and high intraspecific variation in parietal eye size, suggesting that parietal-eye size may not be under strong selection for accuracy. Another detailed study found that removal of the parietal eye and pineal organ did not prevent 8 species of lizards from four families from carrying out their normal circadian rhythms. 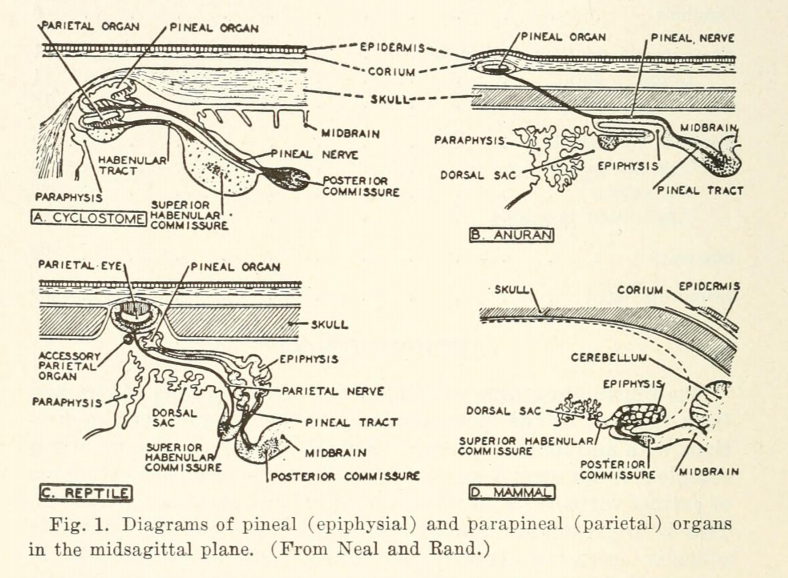 They concluded that other photoreceptors within the brain were compensating, although the aforementioned extensions of the pineal organ may also be a factor in the occasional “failure” of parietalectomy experiments. It's actually not clear that we even have enough baseline data on seasonal changes in snake circadian rhythms to correctly interpret the results of experiments that attempted to manipulate the pineal organs of snakes. But could the paired parietal formaina of some snakes function as parietal eyes? The question that started me looking into this was about Copperheads (Agkistrodon contortrix), which usually have a pair of small dark spots on their parietal scales. Evidently a National Geographic documentary called them nostrils, which is totally absurd. But, the spots do seem to be in the approximate location of the parietal foramina in other snakes. The DigiMorph scan of a copperhead skull does not show any parietal foramina, although if it is of an adult specimen (not stated) then they may have closed up on top. A few other snake species also have such spots, and many snakes have pigmented sensory or apical scale pits elsewhere on their bodies. The parietal eyes of some lizards are also differentially pigmented. Do we need to open our (lateral) eyes to some new possibilities? I think it's clear that snake photoreception, although well-known in species with pit organs, is still relatively poorly understood for snakes as a whole. Thanks to Daniel, Helen Plylar, and David Steen for initiating a discussion of this topic on Twitter, to John Scanlon for providing additional details about the evolution of parietal bone anatomy in squamates, and to Sandy Durso and J. D. Willson for the use of their photos. Dendy, A. 1911. 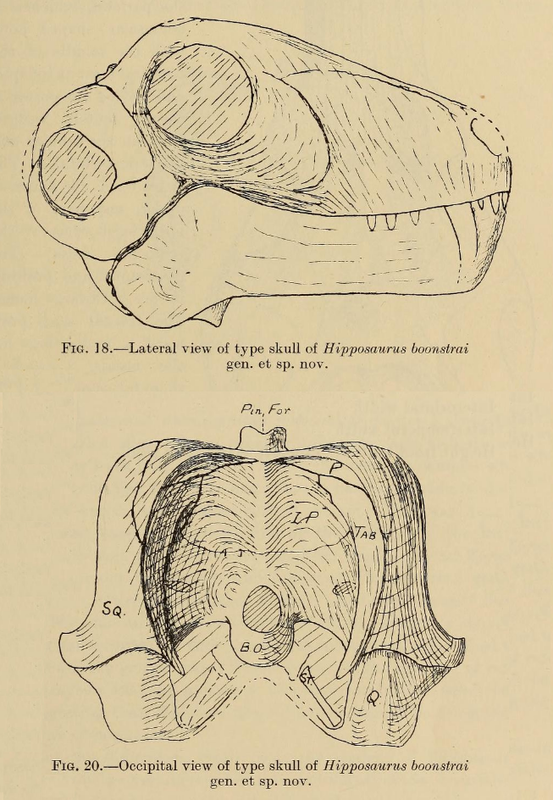 On the structure, development and morphological interpretation of the pineal organs and adjacent parts of the brain in the tuatara (Sphenodon punctatus). Philosophical Transactions of the Royal Society of London. Series B, Containing Papers of a Biological Character 201:227-331. Dodt, E. 1973. The parietal eye (pineal and parietal organs) of lower vertebrates. Pages 113-140 Visual Centers in the Brain. Springer. Eakin, R. M. and J. A. Westfall. 1960. 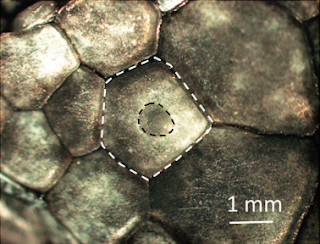 Further observations on the fine structure of the parietal eye of lizards. The Journal of Cell Biology 8:483-499. Foster, R., J. Garcia-Fernandez, I. Provencio, and W. DeGrip. 1993. Opsin localization and chromophore retinoids identified within the basal brain of the lizard Anolis carolinensis. Journal of Comparative Physiology A 172:33-45. Foster, R. G., M. S. Grace, I. Provencio, W. J. Degrip, and J. Garcia-Fernandez. 1994. 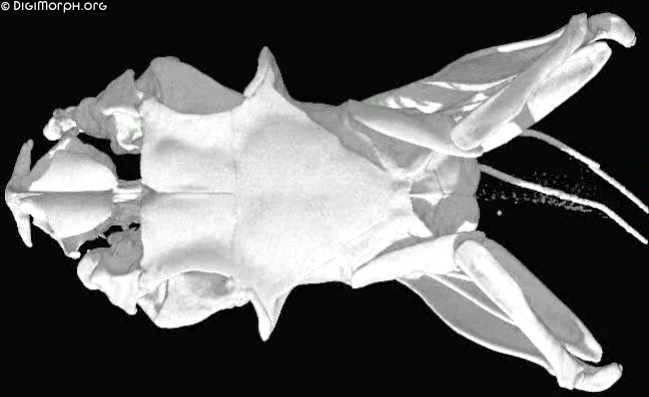 Identification of vertebrate deep brain photoreceptors. Neuroscience & Biobehavioral Reviews 18:541-546. Hawley, A. W. and M. Aleksiuk. 1976. The influence of photoperiod and temperature on seasonal testicular recrudescence in the red-sided garter snake (Thamnophis sirtalis parietalis). Comparative Biochemistry and Physiology Part A: Physiology 53:215-221. Ireland, L. C. and C. Gans. 1977. Optokinetic behavior of the tuatara, Sphenodon punctatus. Herpetologica 33:339-344. Kitay, J. I. and M. D. Altschule. 1954. The pineal gland. A review of the physiologic literature. Harvard Press, Cambridge, Massachusetts. Linder, H. 1913. Beiträge zur Kenntnis der Plesiosaurier-Gattungen Peloneustes und Pliosaurus. Neues Jahrbuch für Geologie und Paläontologie–Abhandlungen 15:337-409. Menaker, M. and G. Tosini. 1996. The evolution of vertebrate circadian systems. Pages 39-52 in K. Honma and S. Honma, editors. Sapporo Symposium on Biological Rhythms: Circadian Organization and Oscillatory Coupling. Hokkaido University Press, Sapporo, Japan. Petit, A. 1968. 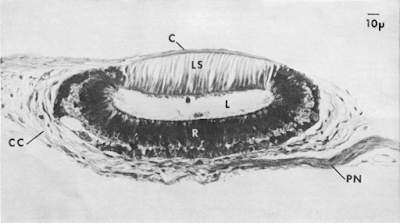 Embryogénèse de l'épiphyse et de l'organe sous-commissural de la couleuvre à collier (Tropidonotus natrix L.). Arch. Anat. (Strasbourg) 52:3-25. Ralph, C. 1975. The pineal gland and geographical distribution of animals. International Journal of Biometeorology 19:289-303. Trost, E. 1952. Untersuchungen über die frühe Entwicklung des Parietalauges und der Epiphyse von Anguis fragilis, Chalcides ocellatus und Tropidonotus natrix. Zoologischer Anzeiger 148:58-71. Vivien-Roels, B., P. Pévet, M. Dubois, J. Arendt, and G. Brown. 1981. Immunohistochemical evidence for the presence of melatonin in the pineal gland, the retina and the Harderian gland. Cell and Tissue Research 217:105-115. Wurst, G. and G. Gundy. 1982. Pineal morphology in amphisbaenians. Page 908 in Annual Meeting of the American Society of Zoologist. American Society of Zoologists, Louisville, Kentucky. Zimmerman, K. and H. Heatwole. 1990. Cutaneous photoreception: a new sensory mechanism for reptiles. Copeia 1990:860-862.